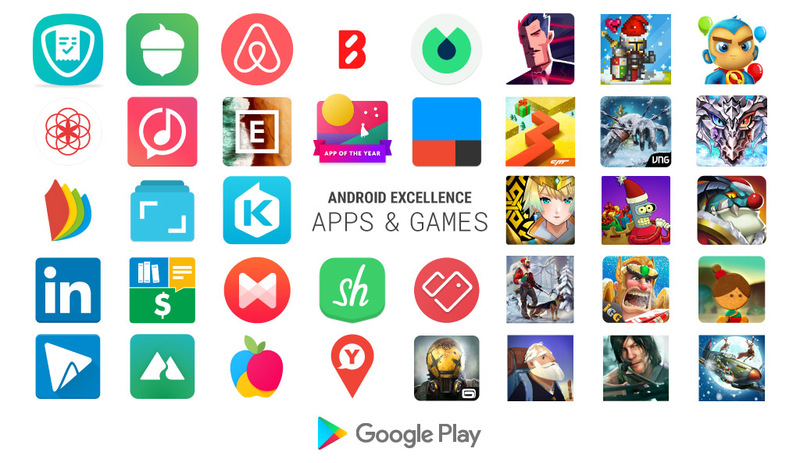 Back in June, Google created a new category on Google Play called Android Excellence (like an Editors’ Choice) as a way to recognize the best apps and games on the platform. These weren’t just top performers either. Instead, the apps and games that made the cut offer up incredible experiences, use Google’s best practices, perform well, are optimized properly, and have great design. Today, they’ve updated the list with a bunch of newcomers. Some of the apps you probably already know, but Google is now highlighting the fact that they are great. We’re talking about apps like Airbnb, Acorns, IFTTT, iReader, LinkedIn, EyeEm, Musixmatch, and Journey. For games, they’ve now featured Agent A, DEAD WARFARE: Zombie, Modern Combat Versus, War Wings, Futurama: Worlds of Tomorrow, and more. To checkout the full lists, we’ve got direct links for you below.